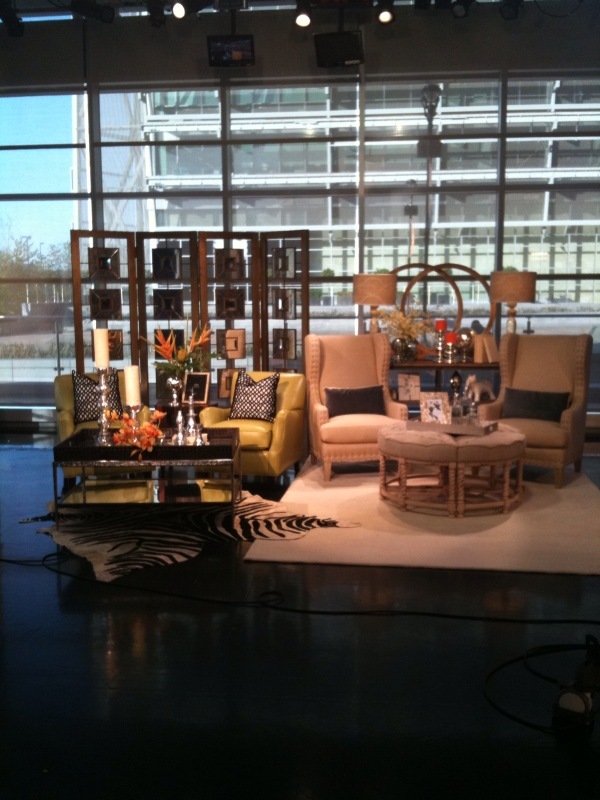 Today on Good Morning Texas, I gave a few quick tips for choosing the perfect coffee table for your room. It’s important that you select a coffee table for your home that not only has form & function, but also makes a statement in the room. Watch the segment here. Rectangular leather tray coffee table (pictured left) by John Richard. 4 upholstered bunching ottomans by Design Guild. Both available at IBB Design Furniture Showroom. 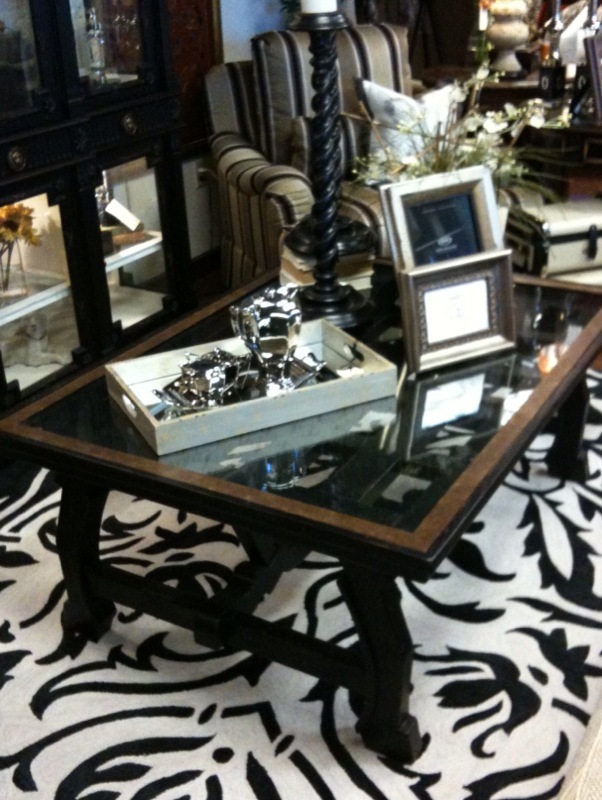 One of my all time favorite coffee tables! This eglomise stunner is by John Richard. I especially love the shape & legs on this table. Place at least 18” away from your chairs or sofa ~ you want it to be within reach but you need to have enough clearance to easily walk by without feeling like the space is cramped. 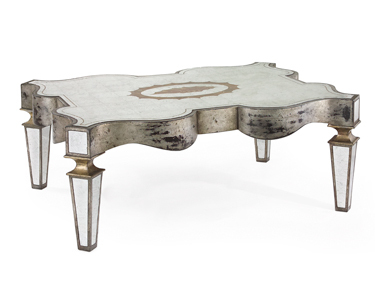 I love this leather ottoman coffee table by Century. The nail head detail is to die for! 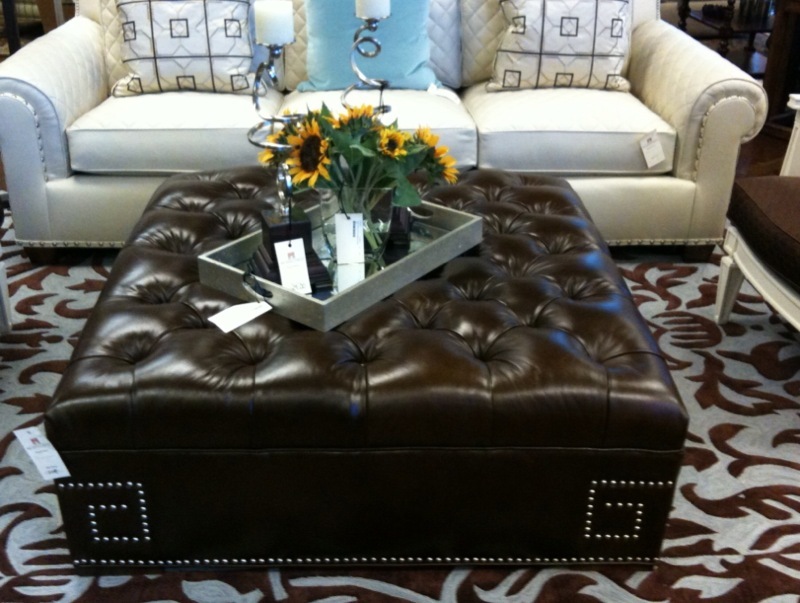 The tufting & rich chocolate leather invite your guests to kick up their feet & relax. Do you remember seeing this on GMT recently? 1. Will the coffee table align with a pair of chairs, a sofa or a sectional? 2. What shape works best for my room/furniture layout? Do I need a round, square, rectangular, or irregular shaped coffee table? Rounds & squares work well with sectionals. Use an oval shaped coffee table when a rectangular would work, but the space is a bit cramped. The rounded edges help you gain a few extra inches & open up the space. 3. What surface do I prefer? Wood top, glass top, stone top, or upholstered? Glass & other transparent tops can make a smaller room feel bigger. An upholstered coffee table can help create a more laid back feel that will invite your guests to kick their feet up. This glass top rectangular beauty is by Century. Using a glass or transparent top can help open up a room. Rectangles align well with sofas. A good rule of thumb is to have your coffee table be 1/2 to 2/3 the size of your sofa. This helps create visual proportion & allows access to the coffee table from each seat on the sofa.